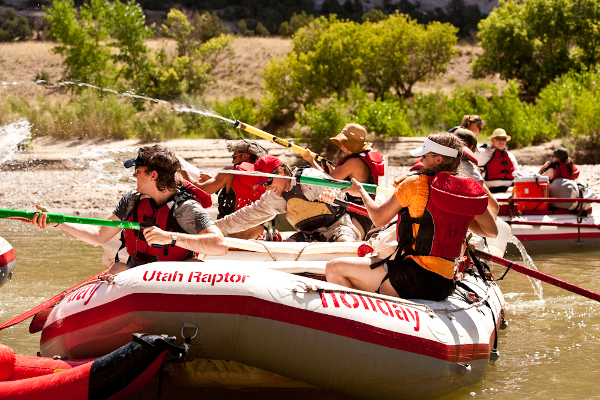 Rafting trips through the Gates of Lodore are filled with excitement, beautiful scenery, and incredible geology. Travel beneath 800-foot canyon walls of deep red Precambrian bedrock along with rainbow-colored rock layers twisted into impossible shapes, superbly crafted by Mother Nature. 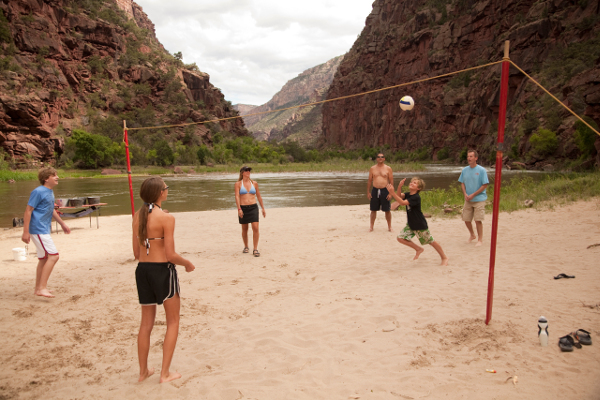 The canyon boasts some of the best white, sandy beach camps in the West, complete with lush, riparian trees and vegetation. Lodore Canyon was named and first explored by John Wesley Powell in 1869. Powell’s adventures live on in the whitewater rapids he named: Disaster Falls, Triplet Falls, and Hell’s Half Mile. Set aside as an American treasure in 1938 under the National Park System, the Green River through Lodore Canyon is a sanctuary for bighorn sheep, pronghorn, and birds of prey. Designated an International Dark Sky Park for having "an exceptional quality of natural darkness", Dinosaur National Monument is one of the few remaining places in the United States where the Milky Way is visible. 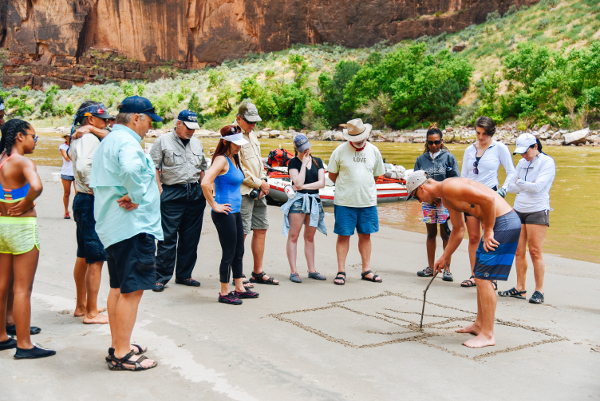 Lodore Canyon is a truly spectacular experience, with a little something for everyone. *$27 NPS Fees per person. 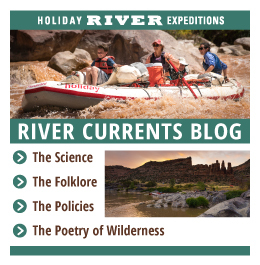 The Green River slips through the imposing Gates of Lodore into the heart of Dinosaur National Monument, meets the Yampa River at Echo Park, then slices into Whirlpool Canyon to reach the idyllic Island Park. From there it's eight more miles of rapids as the river carves its way through Split Mountain before washing up at the takeout. One of the advantages of a river trip is the flexibility of the daily itinerary. It can vary widely from one trip to the next based on group desires, Mother Nature, assigned campsites, and courtesy for other groups on the river. 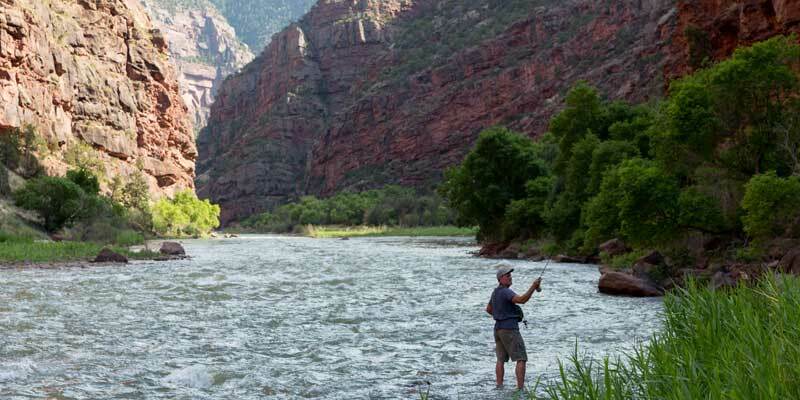 This sample itinerary illustrates a four-day trip through Lodore Canyon. Day 1: Meet your party at our headquarters in Vernal, Utah at 7:00 a.m., Mountain Time. There we will issue your waterproof bags and you can buy any last minute items from our accessories store at this time (see our packing checklist for a list of items you can find at our store). Watch for raptors and pronghorns on the three-hour drive from Vernal to the put-in at Browns Park National Wildlife Refuge. Enter the canyon through the impressive Gates of Lodore and imagine you're one of John Wesley Powell’s boatmen, entering the great unknown. Winnie's and Disaster Falls are the first major rapids we'll navigate: a great taste of what's to come. Day 2: The "Gates" mark the beginning of high desert country—the Colorado Plateau—in what is deemed an ecological transition-zone: a landscape teeming with wildlife. As the canyon narrows, more rapids emerge: Harp Falls, Triplet Falls, and Hell's Half Mile. Hike at Rippling Brook and discover a secluded waterfall. Day 3: At the confluence of the Green and Yampa rivers at Echo Park, the canyon widens before the river circles Steamboat Rock. Here the river enters Whirlpool Canyon. The afternoon may be spent at Jones Hole Creek, a blue-ribbon trout stream with side canyon petroglyphs and a waterfall. Day 4: Peaceful morning in Island and Rainbow parks before entering another massive gorge. The Green's powerful forces cut laterally through Split Mountain's uplifted and colorful core. Rapids abound before the take out and a 35-minute ride back to Vernal. 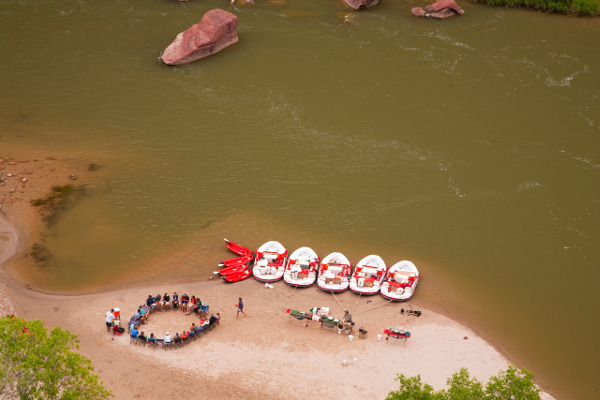 Our expected time of arrival back at our headquarters is about 4:00 p.m, where your Lodore Canyon rafting adventure will come to an end. Best trip ever! 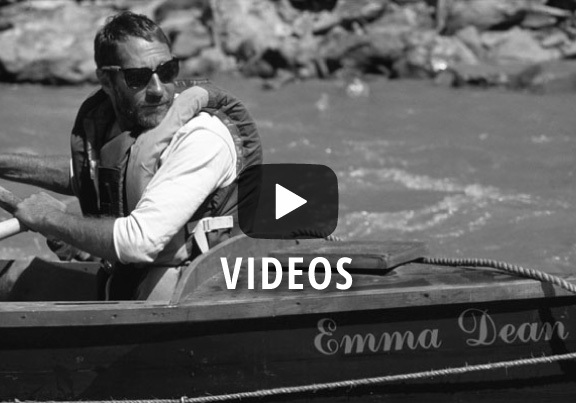 Perfect balance between quiet water, rapids, hikes, and lazy campsites. The guides were all friendly, knowledgeable, and helpful. A great experience for all 11 of us; can’t wait for the next one! There was general agreement from our group of New Englanders that it would be worth using real maple syrup. Another excellent trip (our fourth with Holiday). Although we might have had individual guides in the past that I liked better, this was the best guide team of all. We invited a friend of my daughter to join us. She had limited camping experience and had never been on a river trip, but I had complete confidence in the trip leader and guides and it was not misplaced. She had an excellent time and went home hoping to persuade her own family to book their own trip. Yampa got cancelled which was very sad, but we were able to switch to Lodore. It was so beautiful. Food: Could have more nutritious snacks when we hit camp. we ran out of chips with a big bowl of guac. I think you should have chips and salsa out every day when you get to camp. Or salted peanuts. Then more special snacks/hor dourves an hour or so later.